Final Fantasy XV is now very close to release, and Square Enix is definitely not going to stop now with new details and new footage. A few hours ago, a new, never seen before commercial surfaced online, a short but sweet one that will get fans even more excited for the soon to be released game. The new Final Fantasy XV commercial, which is being shown as part of an ad campaign on several websites, including IGN, is a 30 second long commercial featuring some impressive action and set pieces. You can check out the commercial right below. Additionally, Square Enix recently released some new Final Fantasy XV trailers which are focused on the game’s pre-order DLC such as additional weapons, Regalia Customizations and Costumes. YouTube user Zanar Aesthetics put all tthe trailers together in a single video which you can check out below. FFXV Pre order DLC bonusses range from New weapons like Katana / Masamune, Lightnings Blazefire Saber ( FFXIII ) Gae Bolg Weapon ( FFXIV ) Mage Mashers from FFIX, also Regalia car paints, Gold Chocobo color, platinum leviathan recolor, cindymobile, and 16-bit buddies. Also Royal Raiment costume. 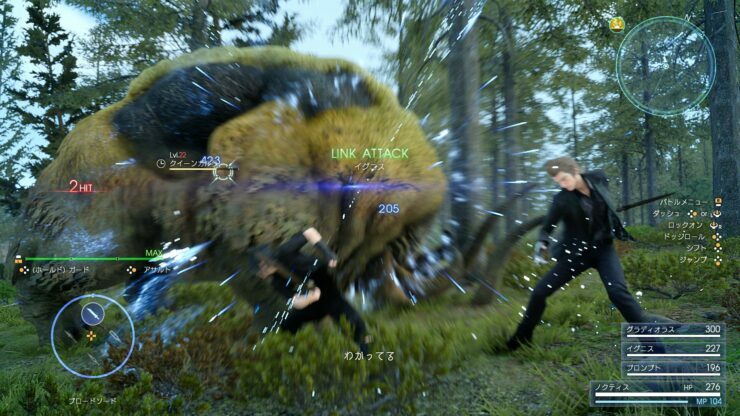 Additional Final Fantasy XV footage taken from the PlayStation 4 Japanese version emerged online a few days ago, alongside some screenshots showcasing the huge improvements the team introduced in the game since announcing the delay a few months back. Square Enix recently showcased Final Fantasy XV at several events, including Paris Games Week, and footage from these events has also emerged online. One video in particulat is quite interesting, showcasing the Midgarzolom fight and some beautiful animations. Final Fantasy XV launches in three weeks, on November 29th, in all regions on PlayStation 4 and Xbox One.